Facet joint injury can occur from surgery or trauma and might create a cascade of degenerative effects influencing joint functionality. Injury is always cited as one of the major explanations for chronic back or neck pain and in cases of damage to the zygapophyseal structures, injury can certainly enact changes in joint form that negatively impact performance. How does one injure their facet joints? More importantly, why doesn’t this injury always heal, as is designed by nature? Many patients are not sure what role injury has played in their development of facet joint syndrome, but their questions to us make it crystal clear that they are interested in understanding the role of trauma in the progression of their suffering. The objective of this essay is to answer reader inquiries regarding facet joint trauma. We will provide explanations of what types of activities can create injury in the apophyseal joints, as well as the part this injury might play in pathological joint conditions. If you have suffered a known or suspected injury to the facet joints and now have lasting pain, this article is perfectly tailored for your research needs. Injury can be defined as damage caused to the spinal zygapophyseal joints from any specific event or occurrence. Injury does not describe normal age-related deterioration of the facet joints, but instead refers to a focal event that causes impairment. Injury can be created by a single happening or a series of happenings over a particular time period. RSI is a perfect example of trauma that is done to the joint over a stretch of time, with each contributing event accumulating to enact eventual damage to form and/or function. We have written elsewhere throughout this website the role played by normal spinal degeneration in the development of facet syndrome. Most facet joint arthritis is caused by the completely normal age-related processes that are universally experienced by adults as they get older. However, in this essay, we examine trauma as a direct cause and partial contributor to facet arthrosis. It is vital to remember that injury does not preclude the role of normal spinal degeneration in creating facet joint pathologies. In fact, injury can exacerbate and escalate these same processes, so degenerative causes are often still culpable for facet issues even when focal injury does occur. Car and other motor vehicle accidents create tremendous forces that can maim or kill. Serious falls from heights or on hard surfaces can impact the body in terrible ways. Sporting injuries are commonplace, especially in contact sports and those involving large amounts of impact. Acts of violence can cause penetrating, crushing or lacerating injuries to the spine, including damage to the apophyseal joints. 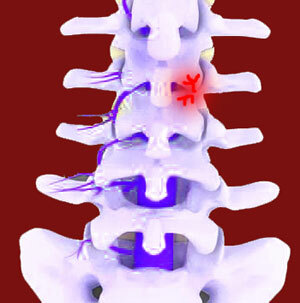 Spinal surgery is an often overlooked explanation for focal facet joint injury. Many surgical techniques leave considerable collateral trauma in the spinal anatomy and all have the potential to cause chronic pain, as well as cure existing pain. In fact, surgery is one of the major causes of persistent back and neck pain. “How does one know if they have injured a facet joint?” Injury can be seen using diagnostic imaging, such as x-rays or MRI. X-rays will only show fractures, displacements and dislocation, since they do not image soft tissues. Meanwhile, MRI can show a far more detailed picture, including trauma to the soft tissues involved in proper joint form and functionality. “Why doesn’t my facet joint injury heal? I thought that healing was a natural primary imperative of the body.” Yes, healing is always the body’s main priority. However, some damage may leave residual effects, such as scar tissue or mechanical changes in the joint that can influence function and create pain. Remember too that some injuries are simply blamed for enacting pain, when the actual reason might not be any structural consideration at all. We see this often in cases of misdiagnosed facet joint syndrome where the patient is actually suffering from a mindbody health issue. “Will treatment help my injury to heal or am I doomed to suffer for life?” This is a difficult question to answer, since there is no universally correct response. Some injuries respond very well to particular types of therapy, while others might not. In fact, some traumas are actually exacerbated by conservative or surgical attempts to resolve them, making matters worse all around for the patient. This is why it is of paramount importance to seek expert diagnostic evaluation and always receive at least 2 opinions before undergoing any type of care.